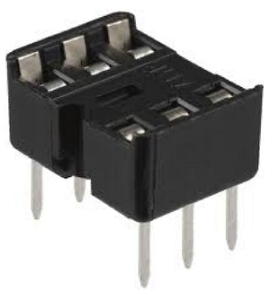 Standard open frame, dual wipe stamped and formed contact IC Sockets. 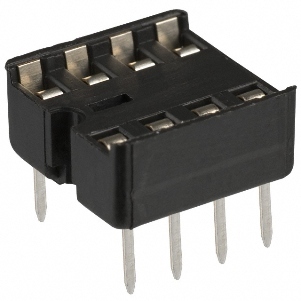 High quality open frame, turned pin with 4 finger contact IC sockets. 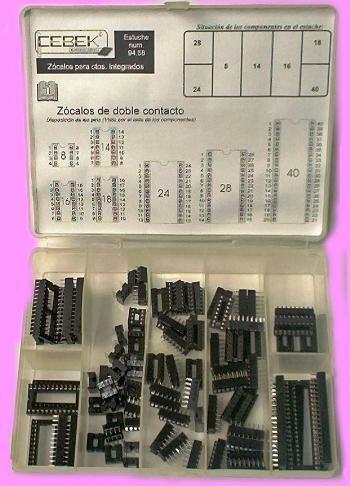 A set of 89 stamped pin IC bases. Supplied in a 7 compartment storage box with hinged lid. Turned pin strip. 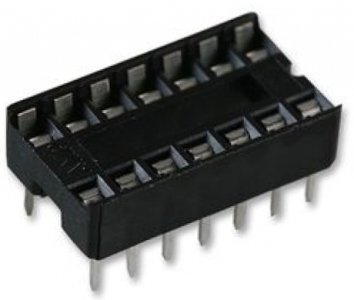 High quality contacts in a single row of 20 double ended pins. Pins have round cross section. 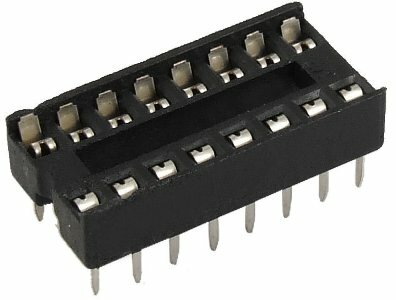 Turned pin socket strip. 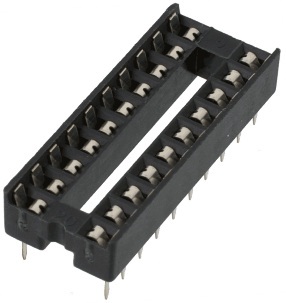 High quality 4 finger contacts in a single row of 20 sockets.